A bar cart is the perfect home accessory: it provides extra storage, is perfect for home entertaining, and elevates your space. As a place to congregate around and a way for guests to socialize and interact with the home, a bar cart makes your home more comfortable and inviting. Having a bar cart allows guests to help themselves, which makes hosting easier. Moreover, it is a much more affordable, practical alternative to a home bar, and anyone can decide to make the addition of a bar cart without worrying about expensive renovations. 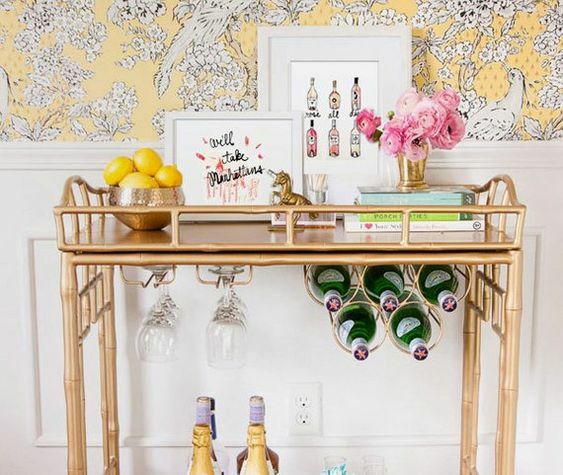 We’ve come up with 7 tips to help you style a bar cart that will make your home the go-to hang out spot. 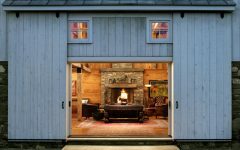 In terms of style, pick a cart that matches your home’s overall aesthetic so that it does not look out of place. 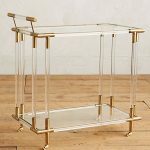 There is a huge difference between a bar cart that looks like an added accessory and one that looks like part of the home’s design. 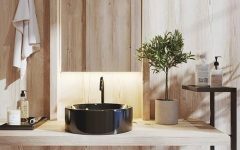 Bar carts come in a wide variety of styles, from modern to traditional to rustic, so you will definitely be able to find one that is perfect for your home. 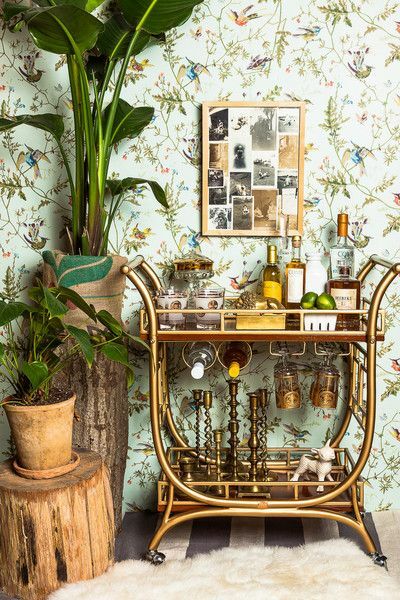 Conversely, we are a huge fan of how vintage bar carts look. 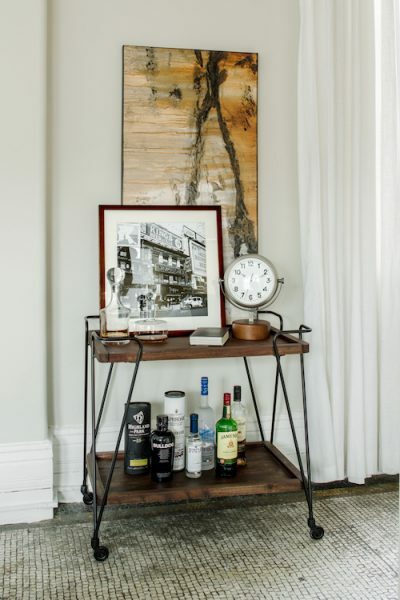 Adding a bar cart to your home is all about injecting fun and personality into your space, and there’s nothing more personal than vintage charm. In terms of function, make sure that your bar cart is the proper size and has ample storage. Additionally, you may want one with wheels and/or a handle for mobility. Added mobility allows you to be flexible with where you put your cart and allows you to entertain anywhere and in a more dynamic way. First rule: keep it simple! Instead of displaying your entire collection of drinks and drinkware, curate and refine a selective collection of your most beautiful pieces. This will allow each piece to truly shine rather than compete for attention (and space!). Stock up on your favorite wines and drinks, but don’t forget to accessorize with other things like patterned napkins, pretty straws, bottle openers, decorative coasters, and stylish shot glasses. These accessories will not only add to the function of your bar cart, but will add visual interest and variation. A bowl of limes or lemons will make your cart even more interactive and will add a pop of color. Colors, shapes, textures, and placement all come into play when styling your bar cart. You can go for a more uniform, balanced aesthetic or mix and match your pieces. When picking out wine bottles and other drinks, try to go for the pretty packaging! 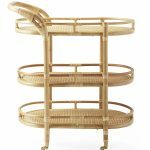 In spite of the name, a bar cart is not just for bar accessories. The essentials should be accompanied by decorative touches. Accessorize your cart with your favorite mementos, books, and plants and flowers. Add quirky touches like chalkboards or letter boards and DIY banners. Ask yourself what kind of aesthetic you’re aiming to achieve: colorful and vibrant or clean and sophisticated? Playful and casual or modern and masculine? A bar cart is simply another place to display decor, and it is important to showcase your personal style with it. After you’ve decided what you want to place on your bar cart, you’ll have to figure out how to style it in terms of placement. Make sure that everything is easy to see and reach and that nothing looks too cluttered. Incorporate organizing trays if necessary. 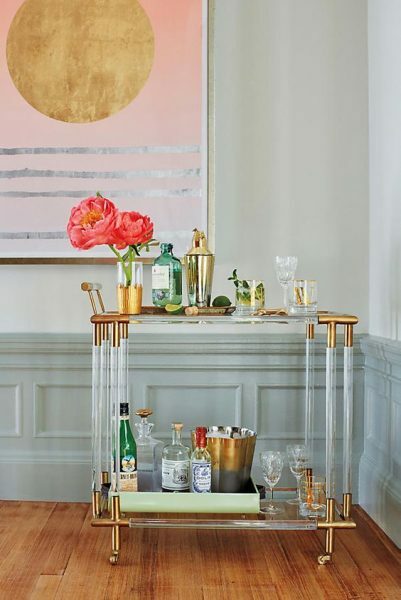 One way to style a bar cart is to lay and space everything out almost like a flatlay; another way would be to take a more playful, dynamic, “messy” approach. Conversely, you could group items together — like wine bottles and wine glasses — and divide your bar cart into zones with a designated purpose. You may also want to look into hanging storage for hanging wine glasses upside down. ProHINT: Leave the top shelf empty or with a little more room so that you have space to prepare and serve drinks. Like any other part of your home, a bar cart is a dynamic space for you to constantly play around and experiment with. Of course, the need to replace drinks and wine bottles allows you to switch up the look of your cart in that way. Switch up the decor and flowers on your cart to keep it fresh and exciting. You can also switch up the decor for seasonal changes or for holidays — think spooky spiderwebs, Christmas lights, and colorful banners. 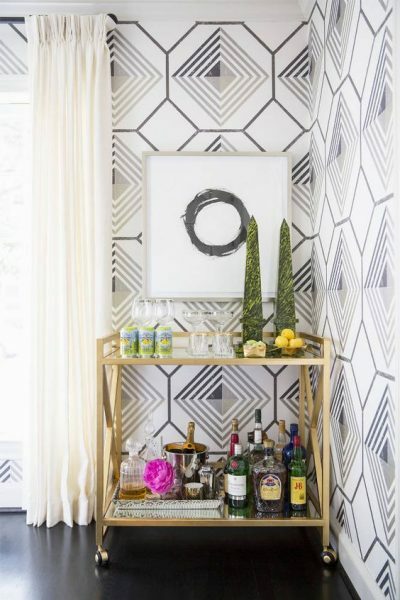 Of course, your bar cart needs to look cohesive with the rest of your space. Don’t neglect to style around your bar cart so that it will draw eyes and serve as a focal point in the room. 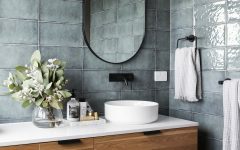 ProHINT: Hanging a mirror above your cart will look stunning as it will reflect light off of the bottles and other accessories. A round mirror, in particular, will complement the fun and playful aesthetic of a bar cart. On that note, a bar cart area is the perfect place to display your more eclectic, silly, or even outrageous pieces of decor or art. 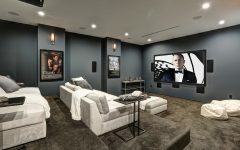 It is a less serious part of your home, so it is the perfect place to display that ironically horrendous piece of artwork that you can’t find a home for but simply cannot throw away. 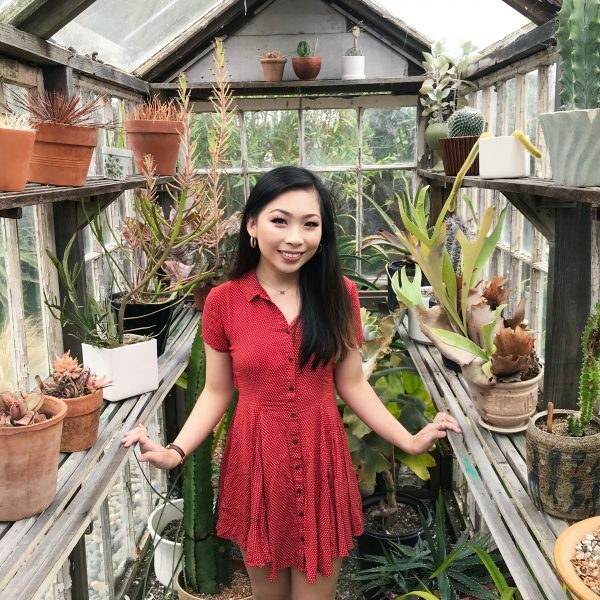 Another great idea is to place your bar cart against a bold colored wall Lastly, place a beautiful potted plant next to your bar cart to give it color and an organic, natural element. 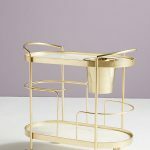 With these tips, we guarantee that you’ll love your bar cart so much that this luxury will feel like a home essential. 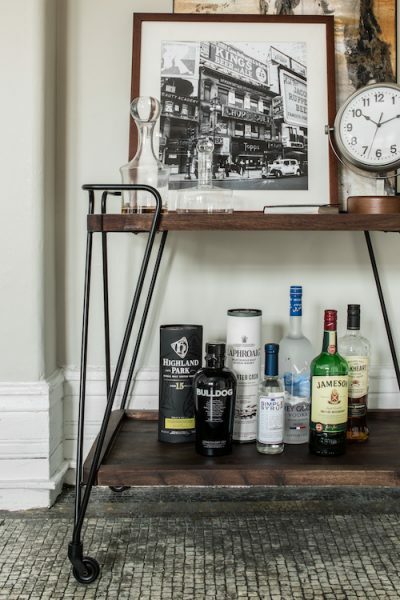 What do you think makes a perfectly put together bar cart? Comment below!